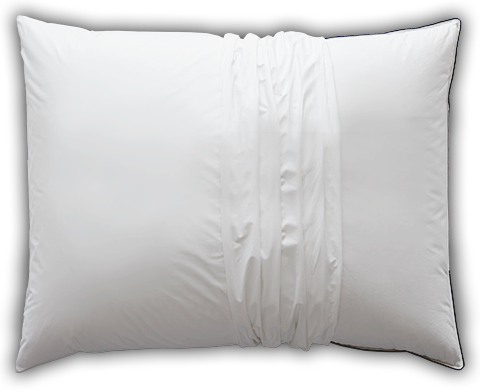 Our pillow protector blocks dust mites and their allergens without the use of chemicals. It’s beautifully constructed with our exclusive AllerRest Fabric® and provides a practical way to keep your pillow cleaner longer. Easy care. This AllerRest pillow protector is far superior to other pillow protectors I've purchased in the past. It's comfortable, quiet, and very well constructed. I've been using it for quite some time now. Absolutely worth it! Our AllerRest® Pillow Protector is made with our specially woven, 300 thread count 100% cotton fabric designed to block dust mites and their allergens from penetrating your pillow. It’s lab tested and does not contain chemicals or pesticides. Your pillow will stay cleaner longer with the added benefits of our exclusive dust mite and allergen protection. The zippered closure fully encases your pillow and allows you to easily remove the protector for machine care.